Have you seen the LRT1 lately? If not, feel the Christmas Spirit, better yet, take a selfie inside, post it with #PaskuhansaLRT1 on your Facebook, set the privacy to PUBLIC and get a chance to win a Beep Card with Php5,000.00 load weekly! 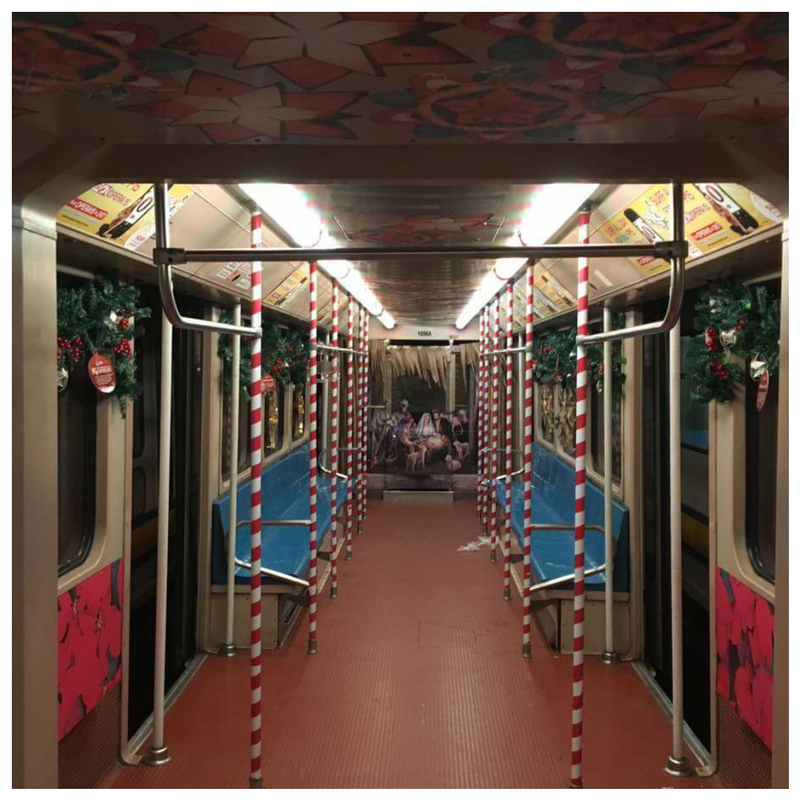 The spirit of Christmas can definitely be felt at LRT1, as it rolls out its Filipino Christmas themed train to bring joy to commuters, which is expected to run until December 31, 2016. Decorated with traditional Filipino Christmas decorations that feature capiz parols, garlands, and a three-dimensional belen – or nativity scene, among other, the #PaskuhansaLRT1 train became an instant hit among LRT1 riders as it made their commute more enjoyable. 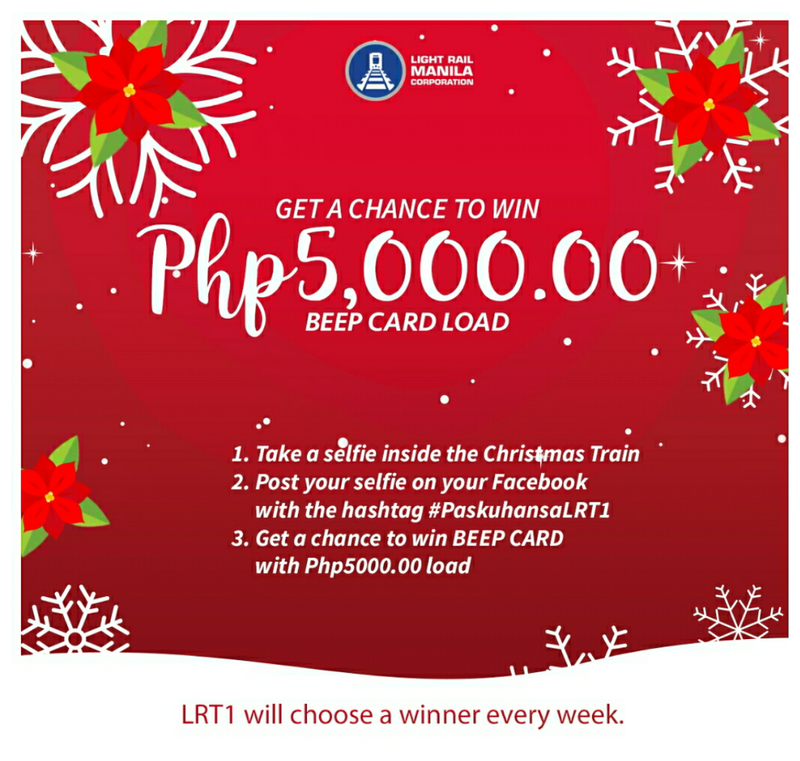 Alongside the roll out of its #PaskuhansaLRT1 train, LRT1 is also giving its commuters a chance to win PhP 5,000.00 worth of Beep Cards every week, from November 29 to December 31, 2016. 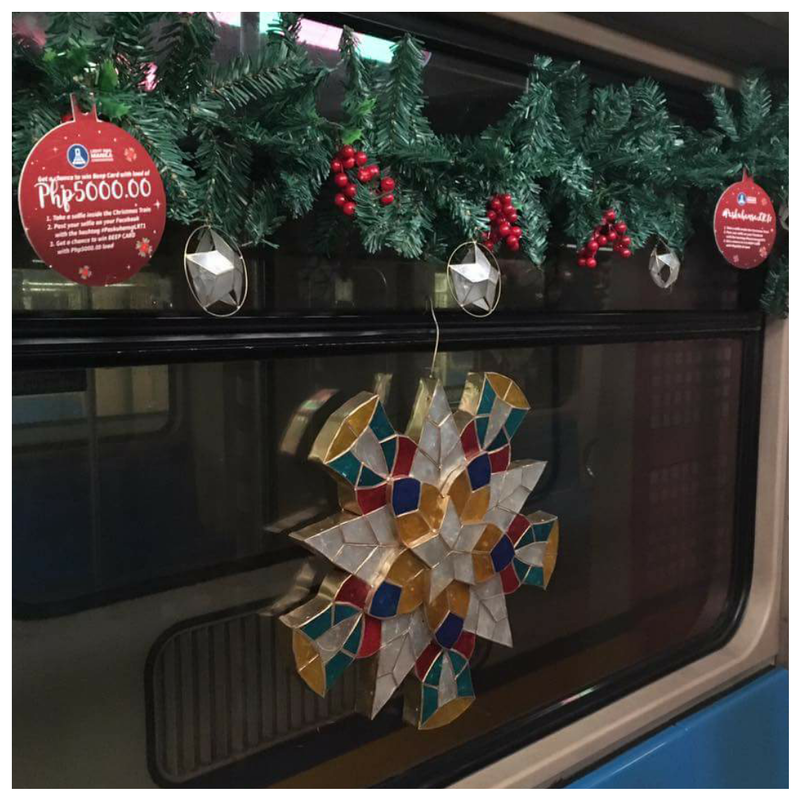 All you have to do is to snap a selfie on board LRT1’s special Christmas train and post it on Facebook, with the hashtag: #PaskuhansaLRT1.